As one of Australias most progressive and dynamic media companies, Foxtel offers an outstanding entertainment experience every day to more than 2.3 million subscribing homes. Our pay-TV services are defined by exclusive and inspiring programming across all genres and the worlds most popular channel brands, and every year we invest in new and original Australian content. Foxtel is also known as a champion of innovation having brought customers the iQ personal video recorder, Australias largest HD offering with 26 dedicated channels, and our latest breakthrough, Foxtel Go. 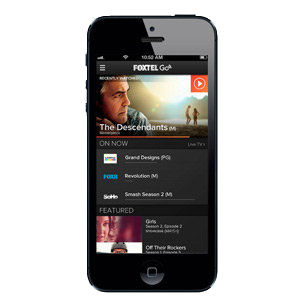 A portable companion for Foxtel subscribers, Foxtel Go enables them to choose from some of Australias most popular entertainment, documentaries, and drama channels and watch their favorite shows anywhere and anytime on both Wi-Fi and 3G. To help support back-end management for Foxtel Go, we chose IBMS:OnDemand (an add-on module to Pilat Medias IBMS) that enables the rapid creation of different VOD packages to suit different platforms and viewing audiences. This allows us to offer a rich viewer experience and helps us maximize the use of content rights by providinga rights-aware content catalog with rich metadata to support our nonlinear and catch-up offerings, including content availability and packaging. 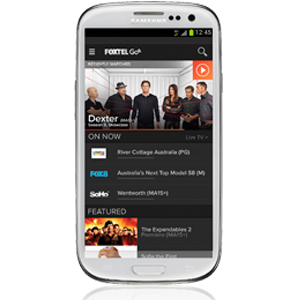 We launched Foxtel Go last November following the success of the Foxtel 2012 London Games app, which gave our subscribers access from tablets and smartphones to eight HD channels providing live coverage of the events. We have since been able to rapidly expand the service to more than 60 live channels, with many channels providing catch-up programming that can also be viewed on demand. For several years, IBMS has provided the business management infrastructure for a range of Foxtel linear and nonlinear service offerings, enabling us to manage critical areas such as content scheduling, and program rights in an automated and highly efficient manner. Foxtel Go is just one example where IBMS has been used to drive our multiplatform business and has helped to scale our operations while maintaining a competitive advantage.